Peshawar- The minority Sikhcommunity in Peshawar, Pakistan, is moving to other parts of the country following repeated attacks by Islamic fundamentalists. More than sixty percent of Peshawar’s 30,000 Sikhs have left for other parts of Pakistan or migrated to India after being forced to live under a constant threat. In a recent incident, Charanjeet Singh, a peace activist and an owner of a grocery store in Peshawar, was shot by a customer several times while he was busy with his order. He died on his way to the hospital, TRT World reported. Further, a member of Pakistan Sikh council (PCS) said that their community was being wiped out as they “looked different.” PCS member Balbir Singh, while talking to the media outlet, pointed towards his turban and said, “This makes us an easy target.” Some of the Sikhs had blamed militant group Taliban for carrying out routing killings of the minority group. In 2016, a high-profile Sikh assassination case took place wherein Pakistan Tehreek-e-Insaf (PTI) party’s lawmaker Soran Singh was killed. The local police arrested Buldev Kumar, a political rival who was a minority Hindu politician, even though the Taliban took responsibility for the attack. However, he was recently acquitted over the lack of evidence after undergoing trial for two years. 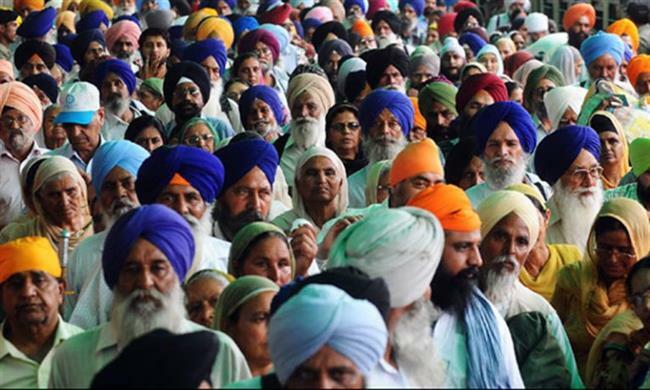 The situation has come to a point where the Sikhs are resorting to cutting their hair and avoiding wearing turbans in order to conceal their identity. Another major problem for the Sikh community is the absence of crematorium grounds for them in Peshawar. The Khyber Pakhtunkhwa government allocated money for crematorium last year but no construction has been started yet. Further, the lands allocated to build crematorium have been given over to build a private bank, wedding hall, and a company. As per the local media, the Pakistani government has not been acknowledging that the Sikh community requires its support and protection. “Whether it is targeted killings of community leaders or sale of gurudwara lands until you accept the problem exist, how can you find a solution?” questioned TV anchor Taranjeet Singh. He further cautioned that if the situation remained as it was, then soon no Sikh would be left in Pakistan.